A high-quality mattress assures you of uninterrupted sleep by providing comfort and sufficient support to reduce pressure on your body and prevent numbness and pain on your neck, shoulders, lower back, and spine. We have reviewed the best Tempur-Pedic mattresses because Tempur-Pedic invented the first foam mattress after NASA released memory foam to the public. As the standard for foam mattresses, their products outlive their competitors and deliver exceptional support and comfort by using a unique layering technique and close body contouring to relieve pressure points. They also reduce motion transfer. 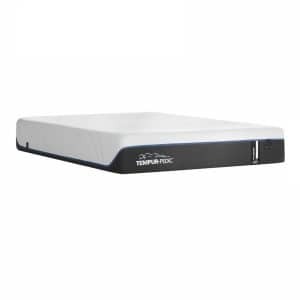 The key features to consider before acquiring a Tempur-Pedic mattress are profile thickness, number of layers, materials used, firmness, sizes, certification, and warranty. The number of layers and the type of material used determine how firm and thick your mattress will be. To choose the ideal firmness, you have to factor in your weight, health and sleeping position while the size will depend on the dimensions of your bed and room. Lastly, certification provides proof of quality, performance, safety, and durability of the mattress, and warranty secures you against defects. 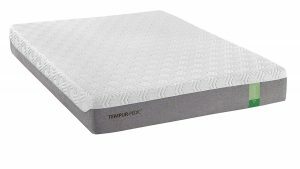 For this review of the best Tempur-Pedic mattresses, we’ve tested several products using the above features, manufacturer’s information, and verified customers’ reviews. You can see how the best models rank in their overall performance in the comparison table below, and a detailed review of each of the mattresses all of which go right after it. 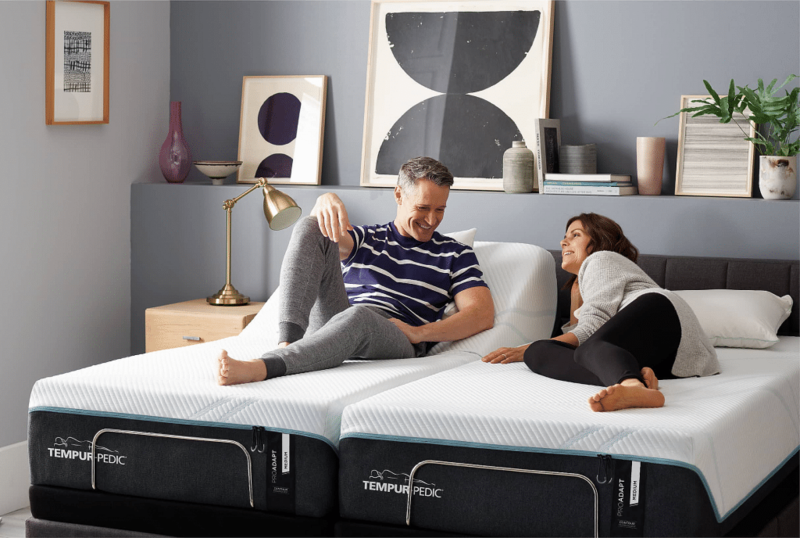 In the buying guide, you will learn the history of the Tempur-Pedic brand and find an in-depth analysis of the most important features to consider before making your purchase. The review ends with a summary of our top three picks. One way of identifying the best rated Tempurpedic mattress is by checking out online reviews by verified buyers, and this hybrid model has left a good impression on customers. It features a comfort layer, a support layer, and a base layer. The first two layers incorporate TEMPUR and TEMPUR-ES material to adapt to your body shape and weight. The base layer is reinforced with 1,000 premium spring coils for a springy bounce. The individually-wrapped coils are excellent at even distribution of weight, motion isolation and pressure relief because each coil compresses individually according to the pressure applied to it. They also offer edge support to prevent you from rolling off the mattress. This model has a profile thickness of 11 inches and medium firmness which suits most sleeping preferences, as reflected in feedback from customers who recommend it for pregnancy, side sleepers, and back problems. It is also the best Tempurpedic mattress for fibromyalgia because it blends the comfort and body conforming of memory foam with the sturdy support and responsiveness of a coil mattress to alleviate soreness and pain. The bed may feel firm initially, but it soon softens after reacting to your body temperature and becomes pliable enough to conform to your shape without sinking too much. You can purchase it in Twin, Twin XL, Full, Queen, King, California King, and Split California King sizes. We love the inclusion of the split mattress because it provides a convenient way for couples to accommodate their different sleeping preferences while still sharing the same bed. The excellent motion separation improves your sleep quality by avoiding interruptions from a restless sleeping partner. The knit cover keeps the mattress cool. Unfortunately, it can only be spot cleaned since it is not compatible with a washing machine. 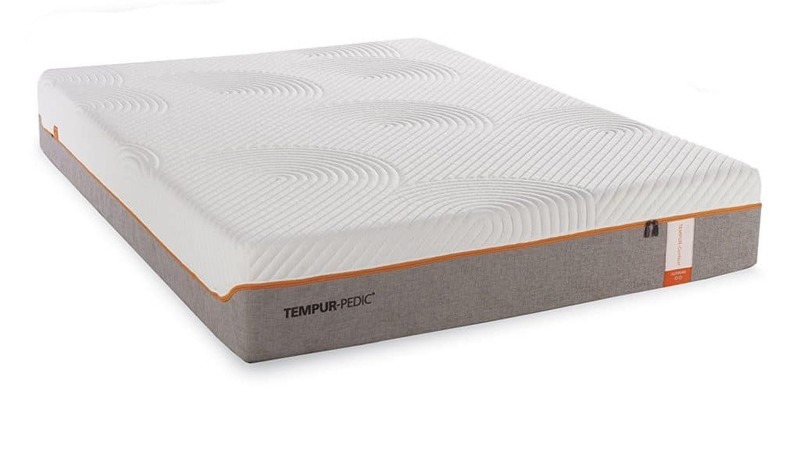 This mattress is one of the three models in the TEMPUR-ProAdapt which debuted in 2018. The series has soft, medium and firm options to accommodate all body weights and sleeping positions. 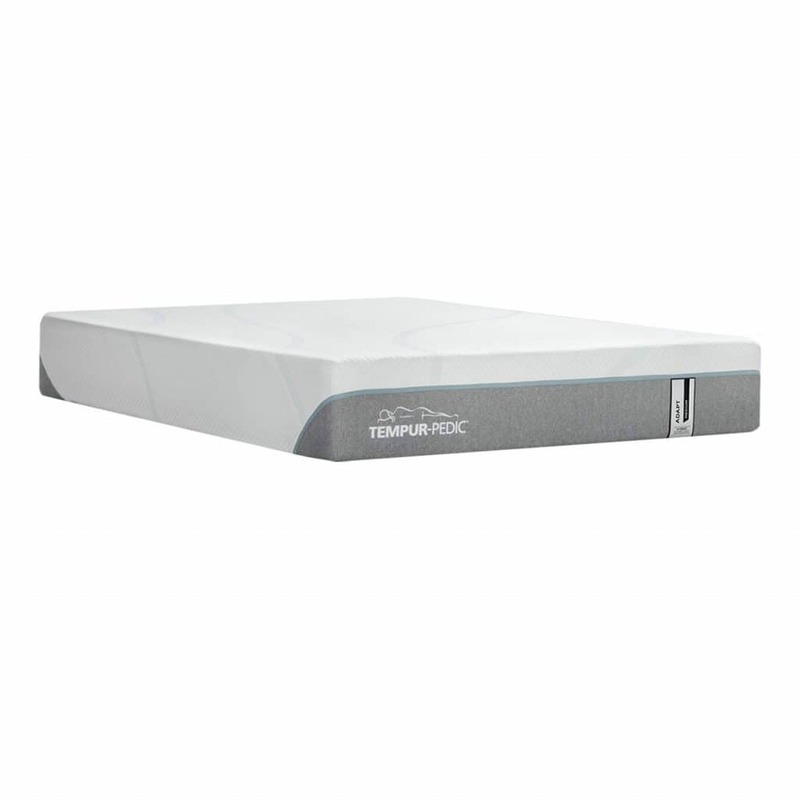 Upgrades in this series include the new TEMPUR-APR material integrated in the support layer and a dual cover. This material features advanced pressure relief technology which is optimized for greater support while the cover has an outer layer with SmartClimate cooling system which disperses heat to keep you cool and an inner layer made of stretchy fabric to avoid bunching up. These improvements add an extra inch to give this mattress a total thickness of 12 inches from the four layers of a cover, comfort layer, support layer, and the base layer. 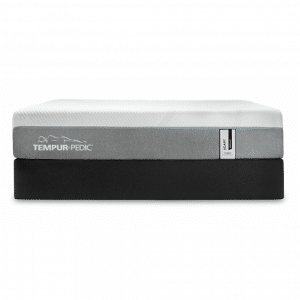 TEMPUR-ES, which mainly differentiated the TEMPUR-Cloud Series from other models, has been incorporated in the comfort layer for a softer sleeping surface, improved dissipation of heat and closer cradling of your body curves. The soft feel of the mattress is further enhanced by the eight inches of convoluted polyurethane which form the base layer. Zippers facilitate easy access to remove the machine washable and dryer-safe cover. It is advisable to use cold water for cleaning and a low setting for the dryer. In addition to having the thickest profile on our list of the best Tempurpedic mattresses, this model also has one of the widest range of sizes, which include Twin, Twin XL, Full, Queen, King, California King, and Split California King. This mattress is quite firm in the early stages, and it takes a while to adjust to a softer feel. 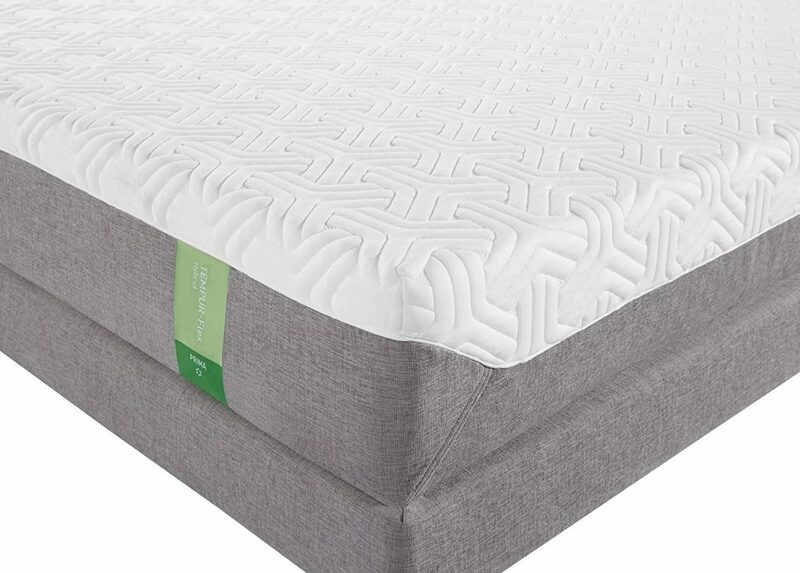 This ten-inch thick mattress features a top comfort layer, a support layer and a base layer which are encased in a stretchy and breathable moisture-wicking cover that keeps you cool and dry. Tempur-ES in the 2.5-inch thick comfort layer is responsible for the plush and soft feel of the mattress while a combination of TEMPUR material, including TEMPUR-HD, in the 1.5-inch support layer, that conforms to your body curves and distributes your weight evenly to relieve pressure points and isolate motion. The base layer is actually made of two convoluted and one solid component layers of high-density polyurethane foam with a total thickness of six inches. 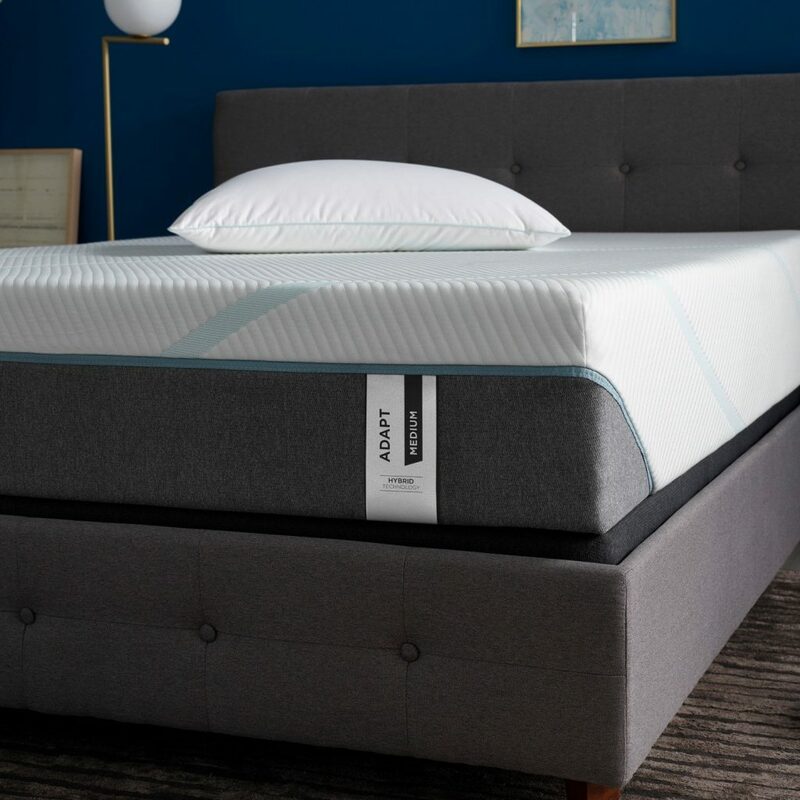 As the firmest layer, it provides foundational support for the upper layer and the convoluted foam improves air circulation and disperses heat from the mattress. You can choose from Twin XL, Queen, California King, and Split California King sizes, which are all compatible with adjustable bases for more sleeping options. Verified buyers describe feeling like they were sleeping on a cloud when they used this plush mattress. 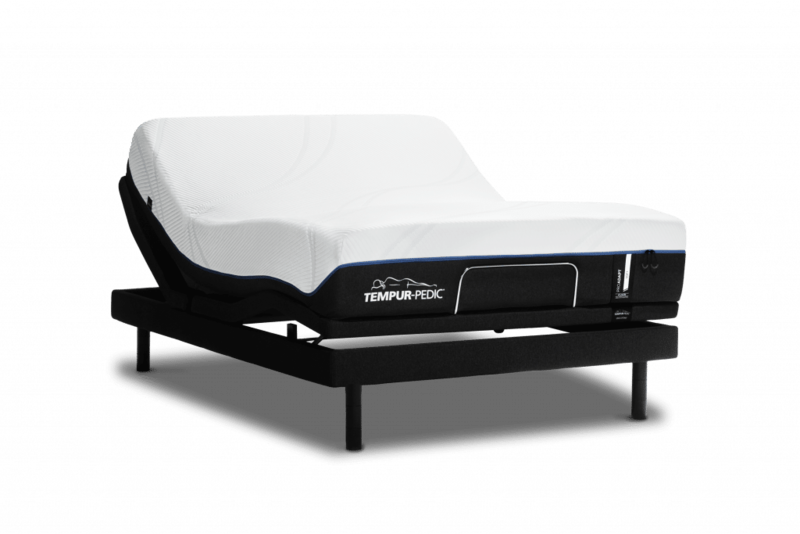 In addition to the dreamy floating experience, the plushness, deeper sinkage and snug contouring of this model make it a suitable choice for anyone looking for the best Tempurpedic mattress for fibromyalgia because it improves spinal alignment and alleviates the aches and pain. Since this model hugs your body and it is also made with memory foam which tends to trap heat, you may occasionally find it warm when you lay on it. It features three layers with a sum thickness of 11.5 inches. The first layer is the comfort layer which is made of 1.2-inch thick TEMPER-HD material. 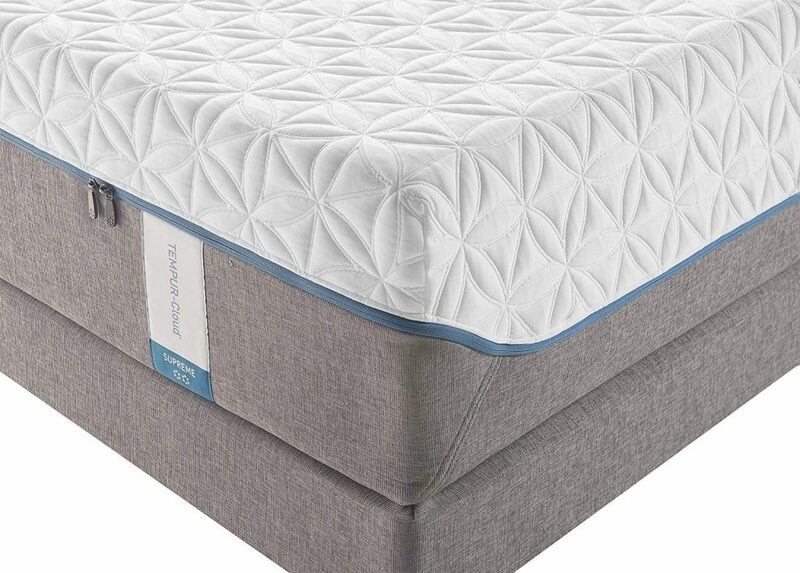 Next is the support layer with 2.8 inches of TEMPUR foam which distributes your body weight evenly to eliminate pressure points. The base layer is made up of two component layers of high-density foam which support the upper layers and promotes air circulation to disperse heat from the mattress. Heat is also reduced by the moisture-wicking cover with SmartClimate cooling technology. The breathable cover is removable, machine washable and dryer-safe on a low setting. This keeps your mattress clean and reduces replacement costs. 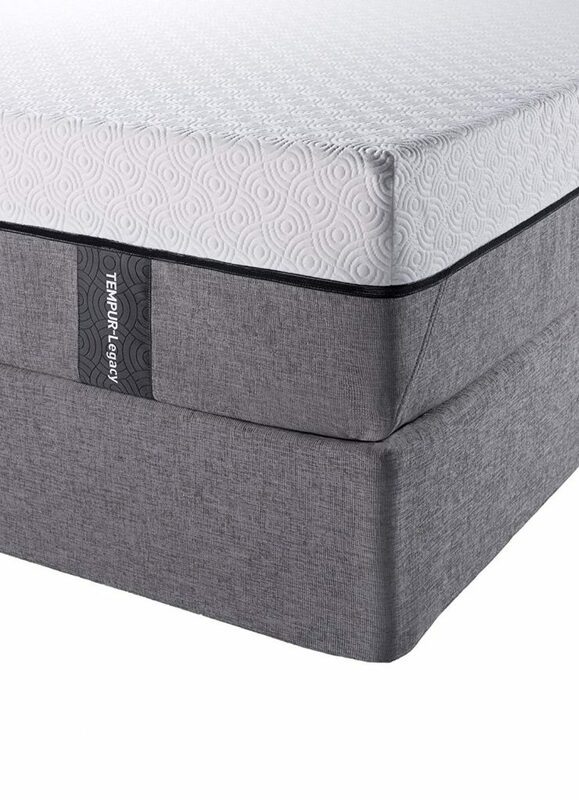 The mattress is available in Twin XL, Queen, King, California King sizes, which are designed to work on a firm non-spring foundation or an adjustable base which can support their weight. 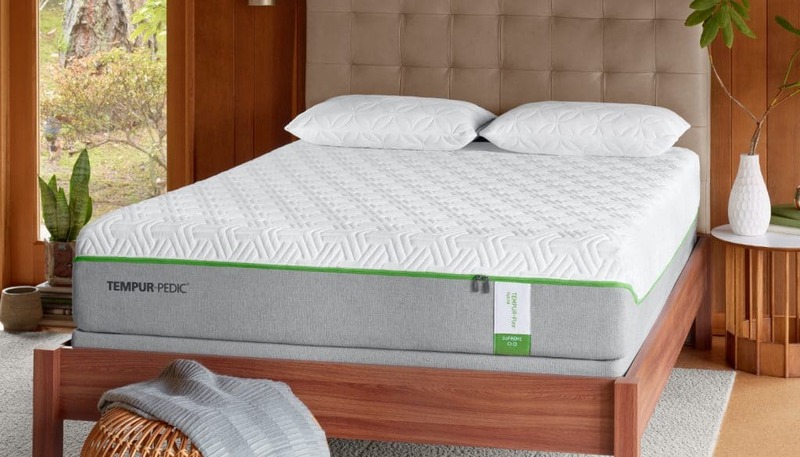 Owners of this model who have effectively eliminated pain on their lower back love the firm feel of the mattress which lasts regardless of the temperature in their room. Give the bed a few days for the faint initial odor to fade away. This is one of the most convenient Tempur-Pedic mattresses, based on the construction, pricing, and weight. 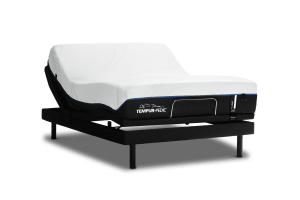 The hybrid model which is one of the lightest and most affordable beds in the TEMPUR-Flex Series features a combination of multi-layered memory foam and coils which improve responsiveness by three times. 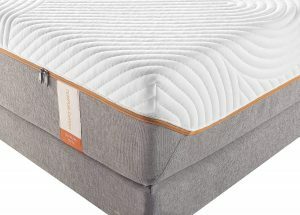 It features four layers: the comfort layer made of TEMPUR-ES memory foam which cradles your body; the response layer made of TEMPUR-Response material which increases responsiveness; the dynamic support layer which is equipped with densely packed precision coils to quickly match your body movements and sleeping position; and the base layer which allows free circulation of air and heat dissipation to keep you cool. 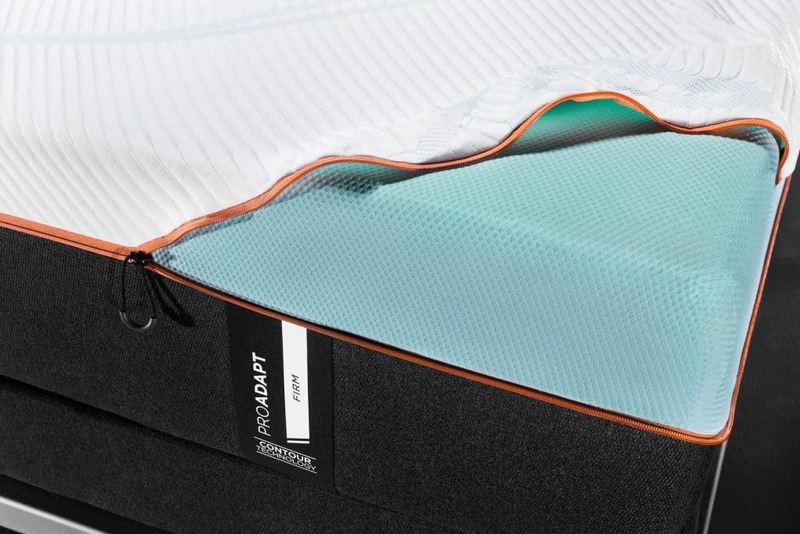 The pocketed coil system gives the mattress a springy bounce while limiting movement to the point of impact. This makes them ideal for couples. Maintaining this mattress is easy because the EasyRefresh cover is removable and washable, with a dual zipper facilitating quick access. The breathable dual-layered cover also improves your sleep quality with the moisture-wicking fabric which absorbs sweat from your body and the SmartClimate cooling system which keeps you fresh throughout the night. However, it might retain heat in warmer weather. The ten-inch thick mattress is available in a variety of sizes which include Twin, Twin XL, Full, Queen, King, and California King. Although this model is considered soft, it is the second firmest mattress in the Tempur-Pedic Cloud Series which features soft and medium-soft mattresses. It has a thickness of 11.5 inches consisting of a top comfort layer made of extra-soft Tempur-ES memory foam which provides a soft and responsive sleeping surface with limited motion transfer and conforms to your body curves to relieve pressure; a support layer made of poly-foam which distributes your body weight evenly; a high-density poly-foam base layer which offers foundational support and dissipates heat from the mattress; and an EasyRefresh top cover infused with SmartClimate cooling technology and fibers which wick moisture to keep you dry. The same cooling mechanism is used in the inner cover to keep the mattress cool to touch. This model is available in Twin XL, Full, Queen, and King sizes to match your sleeping arrangement and fit in the space available. You can use it with an adjustable bed to suit for additional comfort and health benefits. Dual zippers provide a convenient way to remove the washable top cover for cleaning and replacement. The extra-plushness of the upper layers and the adaptive support of the lower layers which adjust to your shape and weight make this the best Tempurpedic mattress for side sleepers because this sleeping position favors a soft mattress which snugs and contours to the body shape to take off pressure from the shoulders, hips, and arms. Some customers have reported an initial odor which disappeared within a few weeks. The wrong mattress can cause soreness, pain, sleep interruptions and aggravate health issues. This is why we are delving deeper into the features you should evaluate when considering the best rated Tempurpedic mattress. We also trace the history of the Tempur-Pedic brand from its origins with NASA to its recent acquisition and merger with its competitor to form the world’s largest bedding company. 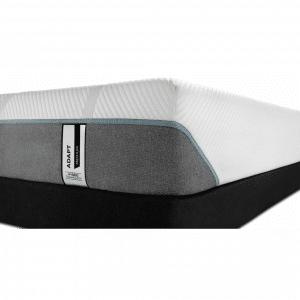 You will also learn about other products offered by the mattress Company, find answers in the FAQ segment, and understand the reasons behind our top three nominations of the best Tempurpedic mattress in the overview summary at the end of this review. In the early 1970s, NASA developed a pressure-absorbing and temperature-sensitive viscoelastic material which distributed the body weight evenly to cushion and support astronauts during the take-off. In 1980s, it released this material to the public. Two scientists, Fagerdala in Sweden and Dan-Foam in Denmark, spent a decade and millions of dollars on research to develop this material into TEMPUR material, which Fagerdala World Foams trademarked for usage in mattresses. In 1991, Fagerdala World Foams released the first TEMPUR-based mattress to the public and sold 50,000 mattresses in Sweden, which was an immediate success. In 1992, Robert Trussell from Lexington, Kentucky then acquired the rights for the North American Distribution rights for the Tempur-Pedic product line from the Company and launched Tempur-Pedic Inc. in 1992. In 2001, TEMPUR built an R&D and engineering center in Duffield, Virginia and a fabrication plant in Albuquerque, New Mexico, to meet the growing demand. In addition, the research facility and factory in Denmark has been extended considerably over the years to meet the increasing demand for TEMPUR products from all over the world. In 2012, Tempur-Pedic International acquired Sealy Corporation for $228.6 million to form Tempur Sealy International, Inc. Currently, TEMPUR is the only mattress and pillow brand licensed by the US Space Foundation to use the Certified Technology Seal. The bedding brand has since introduced more than four mattress collections with multiple firmness options and expanded their range of products to include bed bases, pillows, bed frames, and other accessories for a peaceful and comfortable sleeping experience. The Tempur-Pedic brand features a diverse range of mattresses, with each having unique qualities and benefits. The following key elements will help you narrow your decision to the model which has been customized to match your sleeping needs and preferences. Tempur-Pedic mattresses come in various types of thicknesses which mainly depend on the type of material used and the number of layers. Ten inches is the most popular profile thickness, going by the best-selling Tempurpedic mattress models, because it allows plenty of room to accommodate a large amount of memory foam and other multi-layered construction materials, and is sufficient and comfortable for the majority of people. 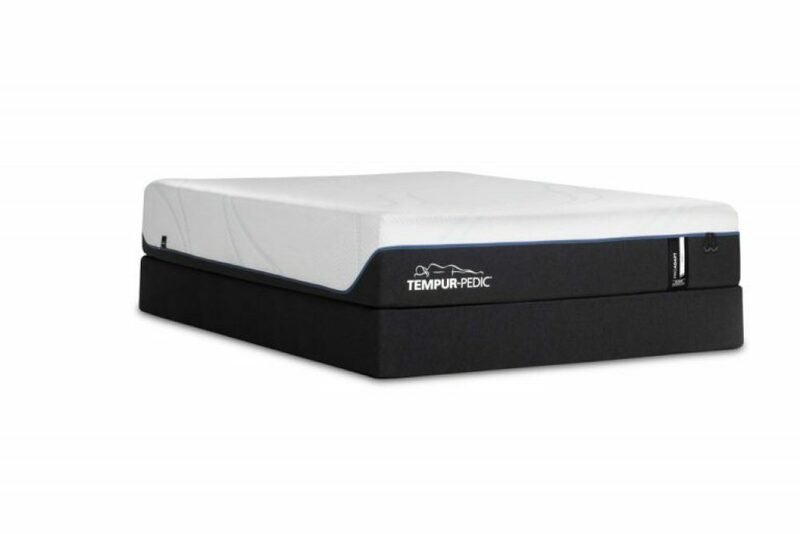 If you weigh over 250 pounds or you prefer extra thickness, the 12-inch thick TEMPUR-ProAdapt Cooling Foam Mattress would be a suitable option. Mattresses feature multiple layers which serve different purposes depending on the type of material in the layer. Tempur-Pedic models consist of at least three layers: comfort, support and base. Their functions include providing a soft and comfortable sleeping surface, increasing responsiveness, relieving pressure points, dissipating heat, wicking moisture, conforming to your body shape, or supporting the other layers. New upgrades and technology are either integrated in the existing layer, such as the new TEMPUR-APR material in the support layer of TEMPUR-ProAdapt Cooling Foam Mattress, or featured as an additional layer like the response layer made of TEMPUR-Response material in TEMPUR-Flex Hybrid Prima Mattress. 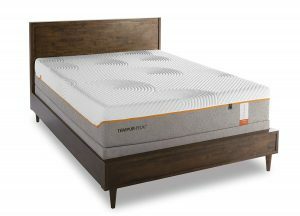 In addition to the patented TEMPUR and TEMPUR-ES memory foam found in the comfort and support layers of their models for a softer sleeping surface, improved dissipation of heat and closer cradling of your curves, Tempur-Pedic incorporates various other materials and technology to enhance the performance of their mattresses. 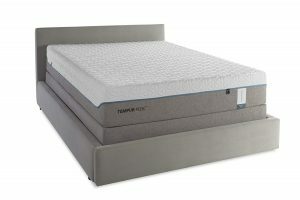 Examples of material used in construction include SmartClimate cooling system and moisture wicking fibers in the EasyRefresh cover of the TEMPUR‐Cloud Supreme Mattress, and pocketed coils in TEMPUR-Flex Hybrid Prima Mattress and TEMPUR-Adapt Medium Hybrid Foam Mattress which excel at the distribution of body weight, motion isolation, responsiveness, pressure relief, and edge support. Since memory foam models tend to retain heat, Tempur-Pedic uses high-density convoluted polyurethane foam in the component layers of the base layer to improve airflow and disperse heat from the mattress. The fabric mostly used for the mattress cover is a blend of polyester and elastane that is stretchy and breathable to promote air circulation and dissipation of heat. 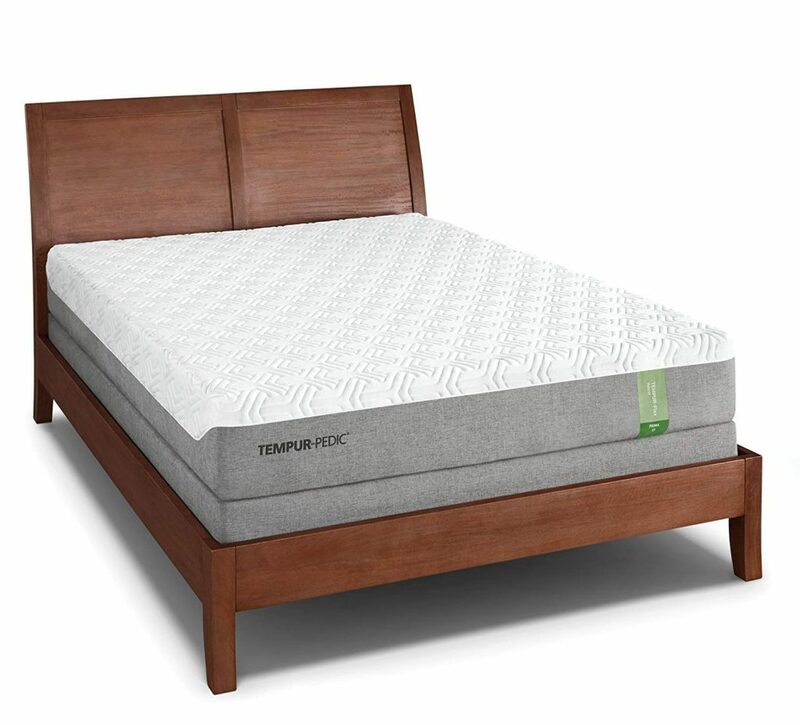 Tempur-Pedic is popular for its versatile mattresses with all levels of firmness to accommodate a wide range of health needs, sleeping positions, body weights, and budget. Whether you are looking for the best Tempurpedic mattress for fibromyalgia, scoliosis, back pain, pregnancy, or couples, you are assured of finding the ideal model with the right firmness level for virtually all your sleeping needs and preferences. Firmness is rated on a scale of 1 to 10, with 1 being the softest and 10 the firmest, and Tempur-Pedic features mattresses across this firmness spectrum as well as different firmness levels for an individual model. 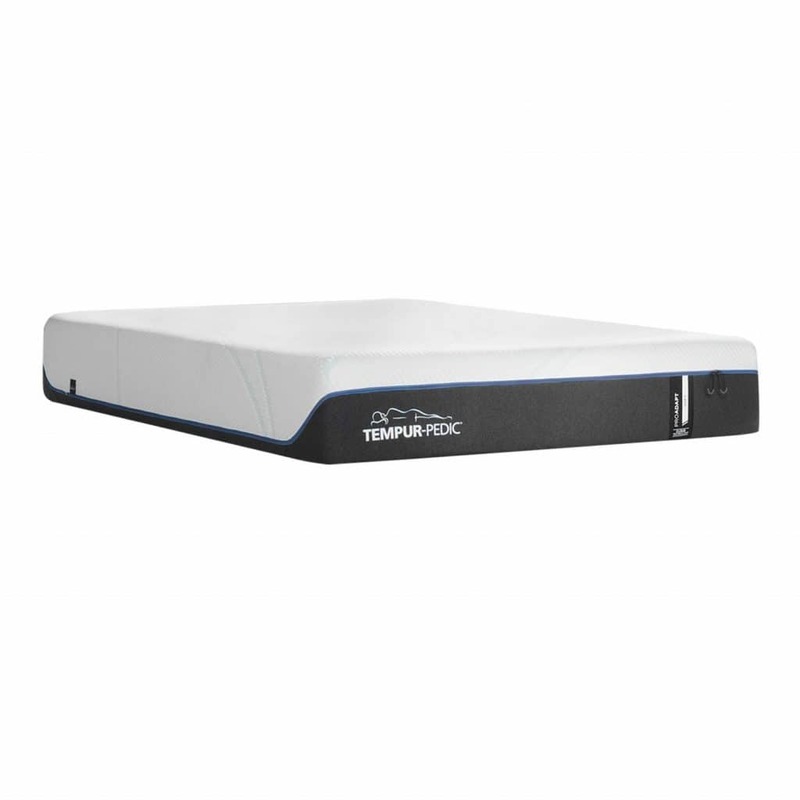 For instance, TEMPUR-ProAdapt Cooling Foam Mattress is available in soft, medium and firm options. A mattress that comes in a variety of sizes provides you with more options to customize it to your budget, available space, bed size, and sleeping arrangement. These sizes include Twin, Twin XL, Full or Double, Queen, King, California King, and Split California King. The best-selling Tempurpedic mattress models on our list are available in multiple sizes, including split versions which accommodate the different preferences of sleeping partners and eliminate interruptions from motion transfer. 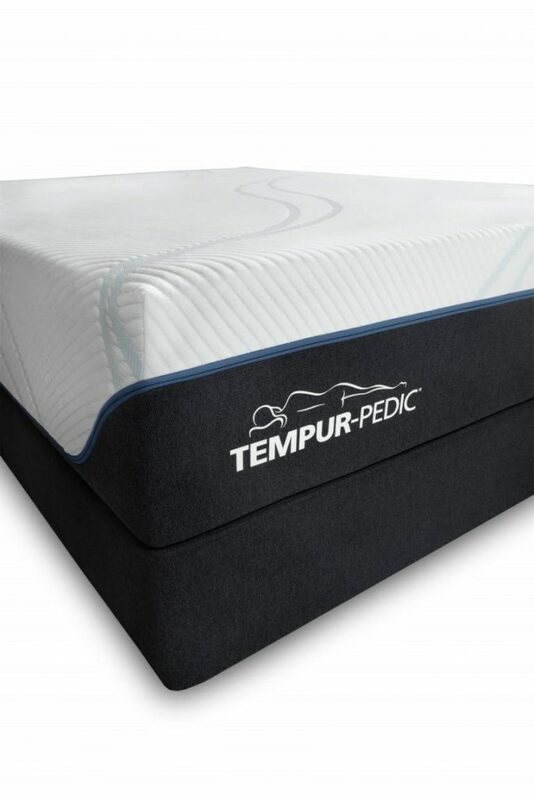 Tempur-Pedic offers ten years of limited warranty on their mattresses, in addition to a sleep trial period of 90 days. The warranty covers manufacturing defects and softening and sagging of the mattress that causes at least 0.75 inches of indentation. Using the wrong foundation to support the mattress voids the warranty. Cover features: One outstanding characteristic of Tempur-Pedic mattresses is their unique covers which have moisture-wicking fibers and an integrated cooling system designed to draw moisture away from your body and dissipate heat to keep the mattress cool and dry. Most of the mattresses in our list also feature removable zipped covers which can be washed with cold water in a washing machine and dried on a low setting. A removable and washable cover is convenient because it lowers the overall maintenance costs and saves you money on a frequent replacement from wearing out. Package: Tempur-Pedic mattresses are shipped in their full size packaged in a large box with the bed wrapped in plastic. Since they are not compressed, you do not have to wait for them to expand before first usage. Adjustable base compatibility: It allows you to elevate your head or feet for health benefits and additional comfort and convenience. Foundations: Available in TEMPUR-Flat High, TEMPUR-Flat Low and TEMPUR-Flat Ultra-Low options, they are each designed to support the weight of a mattress plus two persons resting on top, or up to 600 pounds of weight. The three foundations with different height provide a smooth, flat, and solid support base for your Tempur-Pedic mattress. A compatible foundation is essential because you can void the mattress warranty by using a conventional box spring, or by using it without a Tempur-Pedic foundation or similar firm, solid-surface, non-spring base. Power bases: They offer convenient access to a wide range of positions, including elevation of your upper body for reading or watching TV or for a holistic rejuvenating massage. All the Tempur-Pedic mattresses of Twin, Twin Long, Double, Queen, and Split/Dual CA King sizes are compatible with EASE, TEMPUR-Ergo and TEMPUR-Ergo Extend power bases, and you can further increase the height of the power base by five inches using extensions that can be purchased separately. Tempur-Pedic recommends the bases that are smooth, flat and sturdy — like a platform bed or slatted frame (with fixed slats at least 3″ wide, 4″ or less apart) – and always supported by a bed frame. The brand also produces sheet sets, pillows, mattress toppers, comforters, mattress protectors and covers. Which mattress is adjustable bed compatible? All the models in this review are compatible with adjustable beds. 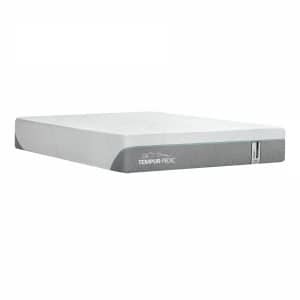 Twin, Twin Long, Double, Queen, and Split/Dual CA King sizes are compatible with EASE, TEMPUR-Ergo and TEMPUR-Ergo Extend power bases by Tempur-Pedic, and you can add the height of the power base by five inches using extensions by the same company. The California Split models is an excellent option for sleeping partners because they can share the same bed and still customize it to suit their individual sleeping preferences. The excellent motion separation improves your sleep quality by avoiding interruptions from a restless sleeping partner. How long will a Tempur-Pedic mattress last? Generally, a Tempur-Pedic mattress will last for a minimum of seven years. Those with denser TEMPUR material could serve you for more than 15 years, according to customers who own them. This is probably because the temperature-sensitive mattresses retain their shape even after years of sleeping sessions. Do I need to flip it over or rotate from time to time to prolong its lifespan? No. You should never flip Tempur-Pedic mattresses because they have a top side specifically designed to be used as the sleeping surface. It differs from the bottom side in construction material and function. You do not need to rotate the mattress because it resumes its shape. 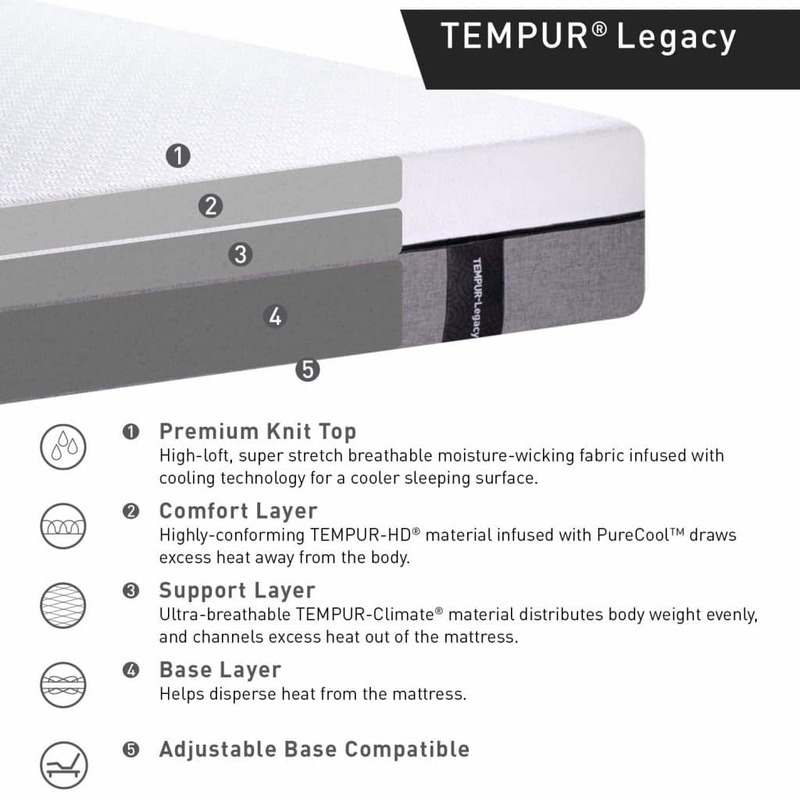 The TEMPUR material is sensitive to body temperature and weight, so it conforms to your body contours and distributes your weight evenly across the mattress when you lay on it, then resumes its usual shape when you get off the bed. 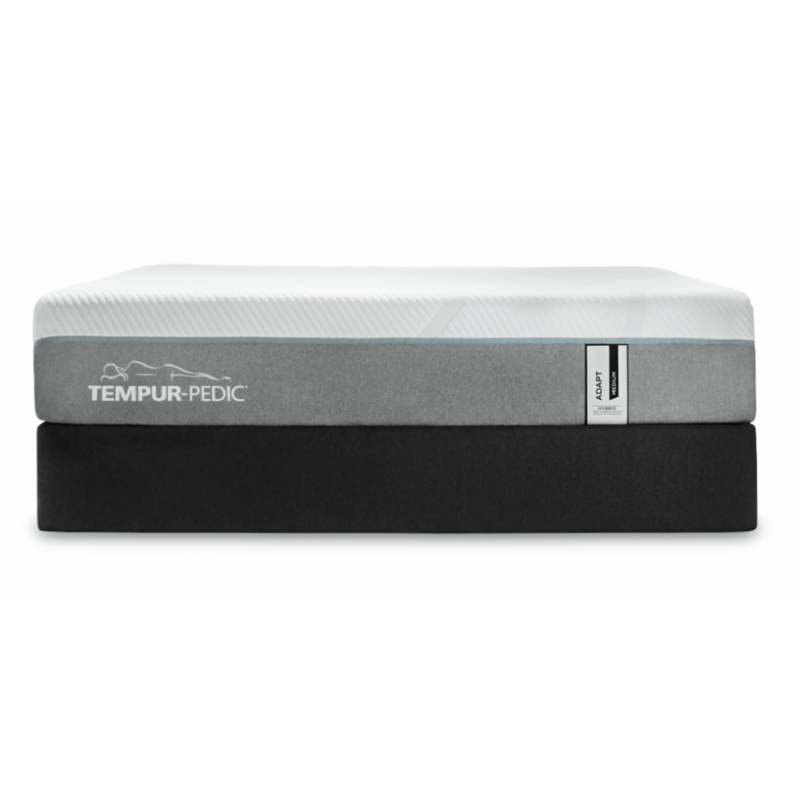 Our top three picks feature different firmness options, a proof that you can find the most popular and bestselling Tempur-Pedic mattress in any of the diverse Temper-Pedic collections. 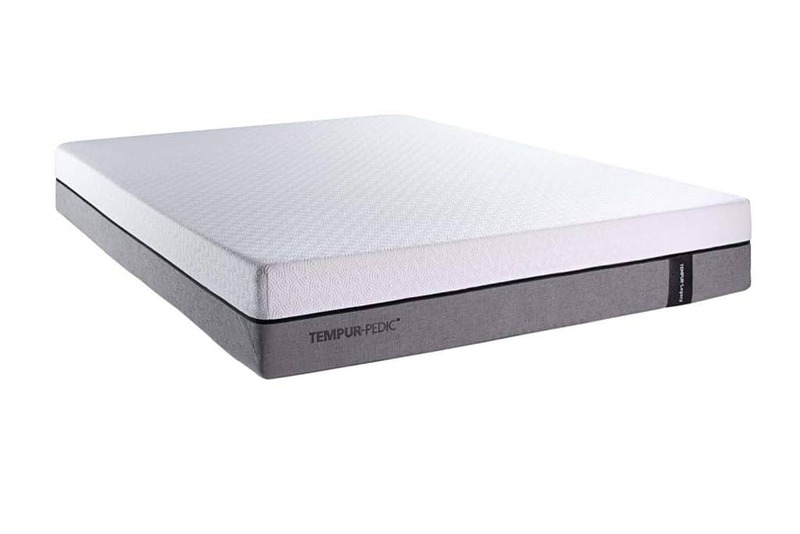 TEMPUR-Adapt Medium Hybrid Foam Mattress brings us the best of both worlds, consisting of coils and foam which creates a perfect balance of comfort, sturdy support, responsiveness and motion isolation. A profile of medium thickness and multiple size options will also appeal to most of the people. TEMPUR-ProAdapt Cooling Foam Mattress is available in three firmness options and Twin, Twin XL, Full, Queen, King, California King, and Split California King sizes. An extra inch has been added to its profile with the new TEMPUR-APR advanced pressure relief technology and the cooling SmartClimate System. Buyers had plenty of compliments for the TEMPUR-Legacy Cooling Foam Mattress. As one of the best Tempurpedic mattresses for fibromyalgia, it will replace your soreness and sleeplessness with an exhilarating combination of snugness, soaring sensation and the right amount of sinkage for deep slumber.